buy from you and not your competitors. Unique Value: how you solve a specific cause differently, better, cheaper, or faster than your competitors. Your ability to communicate customer relevant both generic and differentiated value creates solution centric and sales ready messaging. 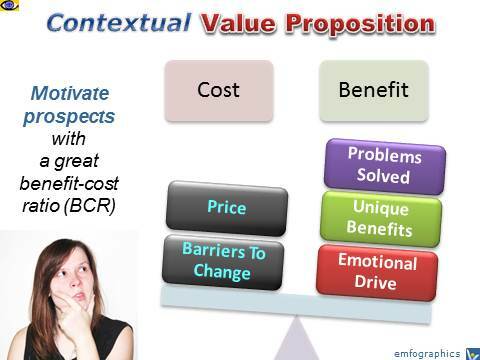 You’ll have a distinct competitive advantage if you can break down the prospect’s needs into its key underlying causes, map your solution’s capabilities to those causes, clearly communicate your correct understanding of the prospects’ problems, needs and wants, and then explicitly define your contextual value and differentiation. 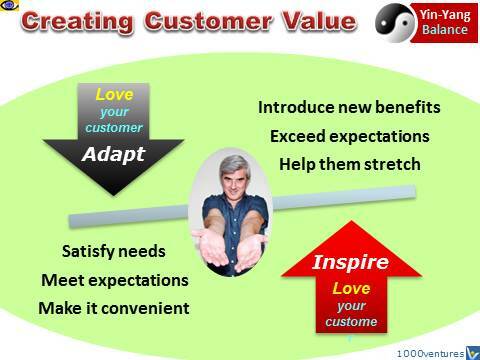 From a customer’s perspective, if the perceived value of an offering is greater than the perceived costs, the purchase is worthwhile. Costs include price and barriers to change. 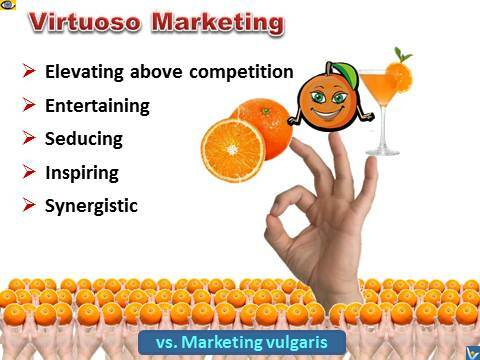 Benefits include need satisfaction, differentiated advantages and emotional attractiveness.